In the previous chapter we briefly understood what Technical Analysis was all about. In this chapter we will focus on the versatility and the assumptions of Technical Analysis. Probably one of the greatest versatile features of technical analysis is the fact you can apply TA on any asset class as long as the asset type has historical time series data. Time series data in technical analysis context is information pertaining to the price variables namely – open high, low, close, volume etc. Here is an analogy that may help. Think about learning how to drive a car. Once you learn how to drive a car, you can literally drive any type of car. Likewise you only need to learn technical analysis once. Once you do so, you can apply the concept of TA on any asset class – equities, commodities, foreign exchange, fixed income etc. This is also probably one of the biggest advantages of TA when compared to the other fields of study. For example when it comes to fundamental analysis of equity, one has to study the profit and loss, balance sheet, and cash flow statements. However fundamental analysis for commodities is completely different. If you are dealing with agricultural commodity like Coffee or Pepper then the fundamental analysis includes analyzing rainfall, harvest, demand, supply, inventory etc. However the fundamentals of metal commodities are different, so is for energy commodities. So every time you choose a commodity, the fundamentals change. However the concept of technical analysis will remain the same irrespective of the asset you are studying. For example, an indicator such as ‘Moving average convergence divergence’ (MACD) or ‘Relative strength index’ (RSI) is used exactly the same way on equity, commodity or currency. Unlike fundamental analysts, technical analysts don’t care whether a stock is undervalued or overvalued. In fact the only thing that matters is the stocks past trading data (price and volume) and what information this data can provide about the future movement in the security. Technical Analysis is based on few key assumptions. One needs to be aware of these assumptions to ensure the best results. 1) Markets discount everything – This assumption tells us that, all known and unknown information in the public domain is reflected in the latest stock price. For example there could be an insider in the company buying the company’s stock in large quantity in anticipation of a good quarterly earnings announcement. While he does this secretively, the price reacts to his actions thus revealing to the technical analyst that this could be a good buy. 2) The ‘how’ is more important than ‘why’ – This is an extension to the first assumption. Going with the same example as discussed above – the technical analyst would not be interested in questioning why the insider bought the stock as long he knows how the price reacted to the insider’s action. 3) Price moves in trend – All major moves in the market is an outcome of a trend. The concept of trend is the foundation of technical analysis. For example the recent upward movement in the NIFTY Index to 7700 from 6400 did not happen overnight. This move happened in a phased manner, in over 11 months. Another way to look at it is, once the trend is established, the price moves in the direction of the trend. 4) History tends to repeat itself – In the technical analysis context, the price trend tends to repeat itself. This happens because the market participants consistently react to price movements in a remarkably similar way, each and every time the price moves in a certain direction. For example in up trending markets, market participants get greedy and want to buy irrespective of the high price. Likewise in a down trend, market participants want to sell irrespective of the low and unattractive prices. This human reaction ensures that the price history repeats itself. The Indian stock market is open from 9:15 AM to 15:30 PM. During the 6 hour 15 minute market session, there are millions of trades that take place. Think about an individual stock – every minute there is a trade that gets executed on the exchange. The question is, as a market participant, do we need to keep track of all the different price points at which a trade is executed? Market opened at 9:15 AM and closed at 15:30 PM during which there were many trades. It will be practically impossible to track all these different price points. In fact what one needs is a summary of the trading action and not really the details on all the different price points. By tracking the Open, high, low and close we can draw a summary of the price action. The open – When the markets open for trading, the first price at which a trade executes is called the opening Price. The high – This represents the highest price at which the market participants were willing to transact for the given day. The Low – This represents the lowest level at which the market participants were willing to transact for the given day. The close – The Close price is the most important price because it is the final price at which the market closed for a particular period of time. The close serves as an indicator for the intraday strength. If the close is higher than the open, then it is considered a positive day else negative. Of course we will deal with this in a greater detail as we progress through the module. The closing price also shows the market sentiment and serves as a reference point for the next day’s trading. For these reasons, closing price is more important than the Open, High or Low prices. The open, high, low, close prices are the main data points from the technical analysis perspective. Each of these prices have to be plotted on the chart and analyzed. TA is based on few core assumptions. I have an account with Zerodha and have started trading Nifty options. But I do not have any technical analysis tool. Currently I am using technical analysis on finance.yahoo.com, the problem with this is it is about 5 minutes behind market. I mean it does not show current price of Nifty but shows value which is 5 minutes before. Sometime back there was a pop-up in Zerodha about technical analysis software available for Zerodha members. I think around Deepavali there was a pop up mentioning that there is a discount for Zerodha traders if they want to use technical analysis software. I need information on which softwares to use for technical analysis which are display accurate values and up-to-date with market. If it is affordable, I am ready to pay for the services. Not as of now, Narayanan. For analysing the movement of market , basically we need to know about the trend. I always do have confusions in knowing whether market is moving in uptrend or downtrend. For example, say Nifty previous closing is 8300, next day it had a gap up opening at 8374. Then it closed at 8310. So, if v compare it with previous closing, it is uptrend (8300-8310). if v compare it from open of the day to closing, it is down trend (8374-8310). So what is ur answer sir?. Pls explain. You need to see this movement in conjunction to the prior trend, that is when you will be in a position to form an opinion. Suggest you to go through the lesson on multiple candlestick patterns to get more clarity. Thanks for the information sir. Will do as directed. By and large most of the news such as – new product launch, new geographic expansion, M&A, management change, quarterly numbers etc is taken care by TA. The reason why I say this is such news (which is predetermined) somehow gets leaked and people (insiders) start taking positions and therefore the price and volume reacts. However things like court ruling may not be captured as its highly speculative in nature and till the last minute no one would know what would happen. Hi Karthik, My question is related to the assumption – Market discounts every news. Reading in one of your replies, I understand that the term “every news” means mostly the news related to the company as you mentioned. So do you agree that we should add another checklist item in the FINALE for news like election results, RBI or US Fed rate cut policy etc. I think such news can really have a great impact on the trend of a stock and might not go as we have calculated based on other checklist items. OR the other option would be to avoid trading on such a day or few following few days. Any other thought on how we should trade on such news driven days. You are right Manish, most of the news that is factored in is related to company news. Macros are not easy to factor in. It is best to avoid taking directional bets on such days..maybe you can explore delta neutral strategies. My question is regarding close price. how exactly is close price determined. I have been observing the closing price of few stocks. few days it will be less than the last traded price of the day, few instances it was higher and few instances it was same as that of last traded price for the day. I googled on this and found that the closing price will be the average price for the last half an hour in the trading session. Yes indeed. You can find a detailed explaintion to this here. Signal line is a 9 day average line whereas the MACD takes the difference between 12 & 26 day average. Hence the signal line is more reactive to the daily price moves and therefore generates the trigger to either buy or sell. TA is good for Investors and FA is good for Traders. Is this statement right ? No, in fact it is the other way round. Use TA for active trading and FA for long term investments. I am very happy thank’s to share valueble true technical anylysis study report…oh my god it’s working my own researched stocks….i’m only referring weekly chart karthik sir..because i’m long term investor… Once again thank you very much, if any i didn’t understand i’ll send you query please reply me sir…. Good luck Girish. Please post your queries and we would be happy to share our views. Good articles all . You are doing a Yeoman job. Good spirit-keep up the Good work-an element of awakening in your articles. Its been a privilege to be associated with zerodha. I recently read about taxation regarding trades. Sir, I have one doubt. 1. If I buy a stock in CNC and sell it the same day it will be considered in MIS. What if I sell it the next day? Will it be still considered in MIS or in CNC? The doubt arises becuase I get delivery in demat on 3rd or fourth day. Whether CNC applies only for the same day? 2. I have dealt in CNC product only. But now I want to do some MIS. How different is MIS from CNC? Any special procedures to be followed? 1) Buy in CNC – Sell the same day in CNC it will be considered as an intraday trade. While CNC is for delivery you can do intraday as well, there is no problem with that. 2) Next time you initiate an intraday trade just select MIS instead of CNC. With this you can get higher leverage and therefore you can trade with higher quantities for the capital that you have. Suppose I buy a share today in CNC and sell it tomorrow then will it be considered in CNC or in MIS? The confusion arises because even tomorrow i haven’t got delivery of shares. When the order goes through as MIS – it strictly means that the order is an intraday order. For overnight spot market positions it has to be a CNC order. So yes, you can buy as CNC today and sell it t’row if required. No, you will have to choose CNC to carry out BTST trades. It’s really amazing to get these wonderful insights. I have become your fan by your simple and profound style of making things simpler. I have started learning the basics of Technical Analysis. And I want to learn properly before I delve into real market. I am reading, “Japanese Candlestick Charting Techniques by Steve Nison”; Can you please refer some more books for Technical Analysis, which will help me gain expertise. Ones you are comfortable with this you can read the TA classic “TA of Stock Trends” by Edwards & Magee. Certainly…you can hedge commodities. We will talk more about it in the Commodities module. U have not answered my question straight way abt Hedging in commodity.Again let me know, For example,how crude can be hedged . Can you please tell me what happens during the pre-opening session i.e. between 9AM to 9.15AM. Can we place orders at that time? Who decides the opening price? Also what are after market orders? When will your new modules get uploaded? I am eagerly waiting for trading psychology and strategies modules. Soon Arvind, we are working on Options modules for now. Sir, my question are as follow, please explain in brief. Q1: If I buy as CNC in BSE then how can I sell it on the same day(as MIS) without the same getting reflected in my Demat account as it takes T+2 day for the shares to get credited? Q2: Is it possible to buy as MIS(First day) and at the end of the day if I am in loss so seeing the market can I change it to CNC before the market gets closed so that I can carry the stocks forward and stop the loss. And sell them the next working day(Day 2) if the stock price had shot high. (Please note the stocks has not been credited in my Demat account). I have opened my account recently and I don’t have much idea about what strategy to follow. Roshan – if you intend to do intraday then its better to execute in MIS. MIS order get auto squared off by 3:20 and you also get higher leverage. Yes you can convert MIS to CNC by end of day. But do make sure you have enough funds in the account to take delivery. Sir thank you for your prompt reply, But please brief about the scenario also. Question no 1 is not answered about the delivery as if I go from mis to cnc at the end of the day, so can i sell the stock the next day without the stocks getting credited in my account. Roshan – Both CNC and MIS can be used as intraday orders. However MIS gives you more leverage. You can buy it as CNC on BSE but just make sure you square off your position by 3:20 PM. If you do so than you wont have to take delivery of the stock. And in case if I take the delivery, then can I sell it the other day without the stocks getting credited in my Demat account. Or do i have to wait for T+2 day to get the stock actually credited in my account and then I will be able to sell off them. Will the same happen in Zerodha or any thing different. Yes, FIFO order is followed. Why are we not able to trade of the charts if we are using heiken ashi ?trading of the charts is limited to candle sticks. As of now we have this for candles as 95% traders use only candlesticks…hopefully we will add this in the future. if i bought a share through NSE. can i sell that share through BSE. (if there is any arbitrage opportunity). You cannot do this one a intraday basis, but you can buy in one exchange, take the stock for delivery and sell it in another exchange at a later point. i am new with this stock marker , i was under impression that today’s closing Price will be tomorrows opening price. but it is not ,can you please tell me how it works , i mean how to get opening price. 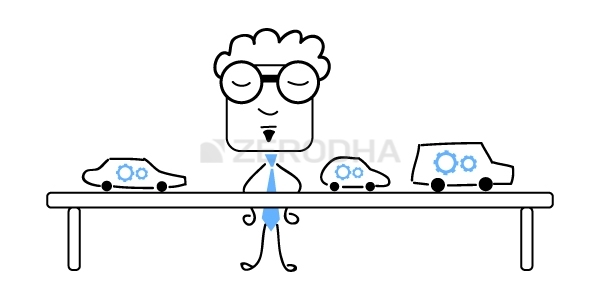 I am a Zerodha client. Clicking on the link gives the message: “Oops! That page doesn’t exist or is private.” Why is it so? And where can we then find and read it? Clicking on the link (http://tradingqna.com/2512/how-to-determine-closing-price-in-f%26o?show=2513#a2513) gives the message : “Oops! That page doesn’t exist or is private.” Why is it so? We upgraded tradingqna, guess we must have lost this page around that time. Let me check this up. Still it shows “Oops! That page doesn’t exist or is private.” Could you please help us here ? Will take a look at this. I am learning Elliot Wave theory course, it’s little difficult to count waves. can you suggest which author’s book can help to count and indentify waves easily us. All global market run on Elliot waves? I’m not too familiar with the subject myself. My question is, is intraday trading over a long run a profitable business? Or one should stick with swings n long term ? sir i didn’t get the point “markets discounts everything”. I have read the point quite a few times still could not make out a clear understanding out of it. All known information worth knowing is already known to the market, thats what this really means. Don’t know if I am missing something. But I am not able to find ‘Next’ button here after each chapter. As it used to be there earlier. While the next button is not there, you can see a table with all the chapters, easy to navigate to other chapters. Spot this below the key takeaways. Request to you, please provide the PDF link of all varsity modules, so that we can read it offline also. We have put it up for few modules, we are working on the rest. This is really good stuff, man. So well articulated and easy to understand. I was wondering if you can suggest me some good texts on TA in addition to these modules. Looking forward to hear from you. Keep up the awesome work. Check out the book on Dow Theory, Edward Magee I guess. Amit, assume the price of SBI is 315 on today’s close. Aftermarket close, FM announces that he will recapitalize the PSU banks. Clearly, this is a great news for SBIN and the market is likely to go up. Under such a circumstance, if you were holding SBI, would you be ready to sell SBI at 315 the next day morning? No right, you’d want a higher price – maybe 330 or 350. This is when the stock gaps up. Similarly for gap down. Just drop by to check if you have any news about the updates of Kites. Not sure if you remember me but i did ask you sometime last month about the availability of trading from the chart. if you remember i did send you a link to show you how we can trade from the chart by dragging the buy/ sell line. Let me remind you, it’s like when we place a buy order in the chart we will see a line in the chart itself. And we can drag this line up or down to change/modify our order. it’s really helpfull when we are day trading as we don’t have to put the figures manually. I will really appreciate if you can update me when can we expect these kind of features in kites. Thank you !! Do you have any plans to have the feature i’m refering to i.e. trading from the chart itself wherein it form’s a order line ( based on buy/sell ) and we simple have to drag the line up and down to change/modify our orders. I guess this is the only thing missing in kite, the rest is simple great. I just hope and pray that you guys do something about it so we all and enjoying trading via kite. This may be a difficult ask, Ron :). However, let me pass on the feedback. 1. Is that since most of the people who are in market know TA and try to follow it, the history repeats? (which mean the rules of TA intact make people to repeat the history ),if so what would happen if no one tend to obey TA rule.Will the history won’t repeat? 1) People tend to behave the same way when a certain stock makes a certain kind of move (like 5% up, 5% down etc). TA captures this and displays this in the form of a chart. Why does the market not discount trends and historical patterns? In fact weak form EMH, in my understanding, does not allow for 3&4 to be true while it allows for 1 to be false. According to strong EMH 1 is true while 3&4 are false. So TA philosophy seems to me to be contrary to EMH. Is the discount only applicable on a ‘macro’ level(i.e. public information decides 95% of the price leaving 5% fluctuation to be decided by trader psychology)? Also, can it be said that with higher number of institutional investors and even HFT firms(which have a direct effect of reducing weak market inefficiencies), the impact of trader psychology and individual irrationality will diminish? Well, the first assumption is sort of applicable to the fundamental data. Stuff like quarterly earnings, change in product demographic, change in management, new verticals, changes in sector etc. No, I really don’t think institutional investors or HFTs impact the retail trader’s psychology, however, they do bridge the price discrepancies, if any. If you will assume market will discount trends and historical data you will fall in a loop of assumption and will never be able to determine. In my opinion Trends and Historical data also gets discounted over a period of time which again depends on case to case. Not sure what you mean by this, Shashank. The assumption is that the Markets discounts information (like insider info) and not really trends. Sir please versity ka hindi version banaya. Sir please varsity hindi me lao ? Will try our best to do that. Good luck. In section 2.3 point no 4 in 2nd last line shouldn’t it be attractive instead of unattractive. If i am understanding it right. Unattractive is the right word – signifies the desperation to sell. Hi, I have been using kite3 for making equity trades. Kite provides tool for viewing market depth of a stock which shows OHLC, volume etc. I would like to confirm if OHLC is for previous day, or open high and low are for current day (updated as time progress) and close for previous day ? For the previous day, you can look at previous close. OHLC is for the current trading day. So in that case Close should be indeterminate but I see a value for it during trading hours. What does close represent in here ? That close refers to the close of the time frame you are looking at. For example, if you are looking at 10 mins chart, the close here is the close of the 10th minute. The close we were talking about earlier refers to the end of the day close, which is determined at the end of the day (as reported in the Bhav copy). Does that mean OHLC we see in “market depth” of a scrip is different from the OHLC of the same scrip in chart? Because when we see at OHLC in market depth, we do not have a time frame selected, we just look at the values! What does the close price of a scrip in market depth represent then? Is this value from the previous day’s closing price? OHLC in market depth gives you the OHLC price points up until the point. So if you look at the market dept at 12:15, you will get the OHLC up until 12:15. Close is previous day’s close. Usually, people are afraid of learning technical analysis because of so called complex jargons.The way it is illustrated here is really superb.Hats off to zerodha.I hope zerodha team gets all the success they desire.Also, financial knowledge should be added in the school curriculum to make everyone aware of the financial markets finally it’s the money which is being played a major role. i read all of you research, and it is very interesting ,healpfull, and motivated. I want to this material pdf in my laptop. please tell me about this. Amit, the PDF is already available. Please scroll to the end of the chapter – https://zerodha.com/varsity/module/technical-analysis/ and click on download PDF link. The exchanges have no role in deciding the prices, they are purely a function of demand and supply. Thanks for your prompt response, but I have a doubt when stock open price decide by supply and demand equilibrium logic, who and how this high and low prices are decided? please throw me some light to understand this logic.. This is based on the prevailing sentiment – bullish sentiment takes the prices higher and likewise bearish sentiment drags it down and with that, the highs and lows are created. Remember, the market is meant for price discovery, which is a natural process. Once again thanks, but my doubt is all about Lower price band and upper price band calculation logic, as I couldn’t find information of these two prices calculations in respective day. The price band or circuit is usually 5%, 10 %, or 20%. Jeevan, here is a very sincere advice – do not quite your full-time job with a hope to become a full-time trader. This can become too stressful for you and your family. Good knowledge on FA, TA, Futures, and options will help. I think it makes sense identify the Stock price based on the technical analysis, but how this is applicable to Index like NIFTY as NIFTY movement is based on all 50 stocks. Without considering the 50 stocks, how is it possible to identify NIFTY movement. That too each stock has different weight in index movement. Please clarify me. YOu consider the 50 stocks as 1 basket and apply TA on it. Thanks for your response. I am thinking the accuracy is more in Stocks that Index in TA as 50 stocks traders in INDEX may not react in the same way like earlier. Please correct me know if I am wrong. Hmmm, this will be a tricky argument. I see it another way – it is safer because no one stock can influence the movement. For example, if Vakrangee was in the Index, then the movement in Vakrangee would not have a major impact since there are other 49 stocks in the index. I have read all the modules in versity.Thanks for it.I was knowing nothing about share market before 2 months. If I want to see market,charts,indicators; all live for free just to understand it, where can I see it ? Dipak, if you have a trading account, login to the platform and you can see it all happening right in front of you. Thank you for the wonderful content Kathik. I have a question regarding the open and close price of a stock . Shouldn’t the open price be same as the close price of the stock on the previous day ? I mean after market closes , the price of the stock should remain same .Am I right ? Not really, Abhishek. There could be multiple things which could happen overnight (after the market close), which can influence the price of the stock. This can alter the potential demand and supply at the opening, therefore different price at open. If I buy shares on CNC, can I sell them before actually receiving them on Demat account? I can see the exit option so if I assume I can sell them without actually receiving, are there any extra charges or anything which are applied? I read this query many times but couldn’t understand the respond properly. Most of the examples given here are based on day chart.. e.g. Risk taker can take the trade on the same day and risk averse buyer can take trade on next day provided all mentioned conditions are met. I have a question here.. 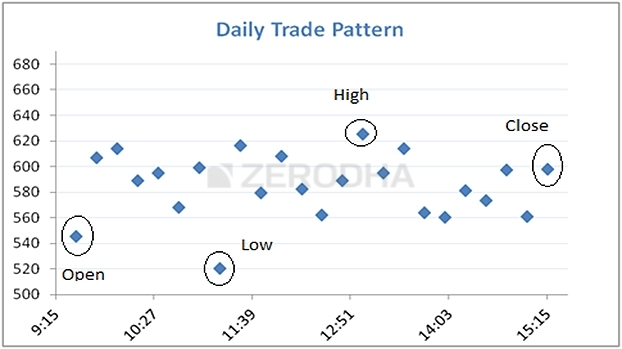 If all these patterns are valid for intraday trading based on 15 min candles chart. i.e. Everything (like Entry, Stop loss etc) will remain same but it will be based on 15 min candle instead of day candle. So as a risk averse trader, I will wait for the confirmation in the next 15 min candle instead of waiting for the next day.. Thanks. Sandeep, in my experience, you are better off being a risk taker for intraday trading. No point waiting for long confirmations. So if all these patterns are valid for intraday trading as well (based on 15 min candles chart)? Say if there is a bullish Marubozu in 15 min candle, can I go long on that with low of Marubozu as SL. Similarly if there is a hammer formation, can I go long with low of hammer as SL. Can I trail the stop loss as the bottom of next candle in long trade. Also what is the best candle structure for intraday? 15 min/5 min/3 min? Kindly confirm. And Thanks as always for your reply. Yes, Sandeep. You certainly can do that. Trailing SL is always a good idea. I personally prefer 15 mins candle. Good luck. Thanks for your reply. Have a nice day. >>The high – This represents the highest price at which the market participants were willing to transact for the given day. Is this not the the price at which a trade actually occurred and not the price at which market participants were willing to transact. If it is true that “Markets discount everything”, then why the stock price reacts after results of the company? Rahul, that statement is true with most of the cases. There could be instances where the markets too can get surprised by the outcome of events. I am new stock market and this perfectly written modules/chapters helps me a lot in learning about the market. Glad I found this at an early stage. I couldn’t resist myself from writing this comment as I advance through the topics. Am wondering how did you get time to reply to each one of these comments? Thanks to everyone who were part of creating this wonderful content. I am new to the market, after reading the article I wish to have bit more clarity on why how is important than why. It will be of great help if you explain it using another example. I am unable to grasp it. Happy to note that, Akshay! there are few paid online lecture ( of technical analysis) . can we claim this kind of business educational expense in itr. I’m not really sure about that, Ashwani. I think you need to check with your CA.